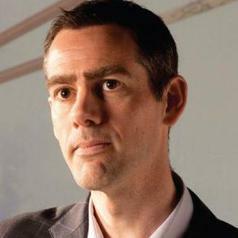 Jim Watson is Professor of Energy Policy at SPRU, University of Sussex, and joined UKERC as Research Director in February 2013. He was previously Director of the Sussex Energy Group at the University of Sussex from Dec 2008 to Jan 2013. Jim trained as an engineer at Imperial College London and has a PhD in science and technology policy from Sussex. He has 20 years’ research experience on a range of energy, climate change and innovation policy issues. His most recent research has focused on the uncertainties facing carbon capture and storage technologies, low carbon innovation in China, community energy in the UK, and the governance implications of sustainable infrastructure systems. He frequently advises UK government departments and other organisations. He was a lead expert with the UK Foresight project on Sustainable Energy Management and the Built Environment (2007-08), and has been a Specialist Adviser with House of Commons Committees on Environment, Food and Rural Affairs (2006-09) and Energy and Climate Change (2010-11). Jim has extensive international experience, including over ten years working on energy scenarios and energy innovation policies in China and India. In 2008, he spent three months as a Visiting Scholar at the Kennedy School of Government, Harvard University. Jim is a council member of the British Institute for Energy Economics, and was its chair in 2011. He is also a member of DECC and Defra’s social science expert panel.